Water soluble water. 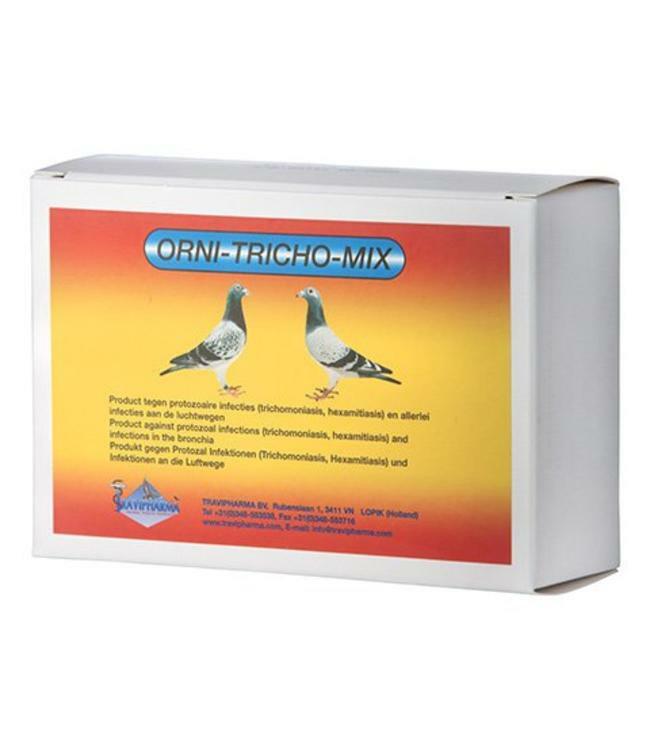 For the treatment of infections of the bronchia, trichomoniasis (canker) and hexamitiasis. For the treatment of: Protozoal infections caused by flagellates as trichomoniasis (Canker) and hexamitiasis. Infections of the bronchia. Contains per gram: Doxycycline HCl 120.0 mg, Erythromycin thiocyanate 27.5 mg, Ronidazole 25.0 mg, Supplemented with several vitamins, such as B1, B2, B6, B12 and K3.